Google Music the real reason for search engine piracy turnaround? Google announced one of its biggest-ever changes to its search algorithm last week, revealing it would begin to lower the search rankings of sites that are hit with multiple copyright takedown requests. 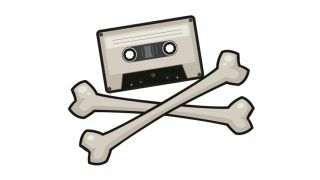 Since May the company has been transparent about just how many links it stifles in its bid to combat piracy, but until now it has never felt the need to deliberately hobble sites that continuously flout copyright laws. This is set to change, with Google penalising websites that have a high number of content removal notices, pushing them down the rankings so that legitimate sites can make use of the real estate instead. According to the British Phonographic Industry, the move may help Google in striking deals with music companies and in turn make way for its much delayed Google Music service. Currently Google Music is a US-only offering, but Google wants to expand globally into territories such as the UK and changing its algorithm to get rid of those pesky piracy sites is a decent gesture to the music companies it wants to impress. "It makes us feel that Google is a little bit more on our side. It's helpful background music to these [Google Music] discussions, certainly," said Geoff Taylor, chief executive of the British Phonographic Industry to the Guardian about the news. Whether the Google algorithm change is a political move or not, it's still one that mired in confusion. Google's rather short blog post about the matter states that: "Google cannot determine whether a particular webpage does or does not violate copyright law. "So while this new signal will influence the ranking of some search results, we won't be removing any pages from search results unless we receive a valid copyright removal notice from the rights owner." This is a key factor to Google's antipiracy plan – it is not policing search results and actively looking for copyrighted content but reacting to legitimate takedown notices. In short: the act of actually finding pirated content is still up to the folks at the BPI, RIAA and any other initialism-heavy company that has a vested interest in keeping premium content away from illegitimate websites. Considering that requests have been made to remove 4,444,757 URLs in the past month alone, this is still set to be a massive undertaking, even if the main sites that showcase dodgy links are out of sight and out of mind. It is a step in the right direction, though, and one that should get approval from the likes of Ofcom in the UK. Although Ofcom didn't want to comment on this particular piece, TechRadar attended an Westminster e-Forum a few months ago where Campbell Cowie, director of internet policy, consumer group, Ofcom, spoke on the matter of website blocking. He said at the time: "For blocking to make its most effective contribution we believe that Government would also need to consider whether search engines and domain registry, such as Nominet, could play a role in making it harder for operators to set up sites which promote and encourage infringement." As for the timing of the search tweak, according to SearchEngineLand, Google claims it is not doing this because of its new-ish role as a content distributor, but merely because it now has the data it needs to downgrade copyright infringing sites. Whatever the reason, Google's about-turn on the situation is a key one and certainly ticks a box when it comes to appeasing both the music and movie industry. Whether this will make signing on the dotted line for Google Music that little bit easier for music companies remains to be seen, but its certainly pushed the pen closer to the hand.